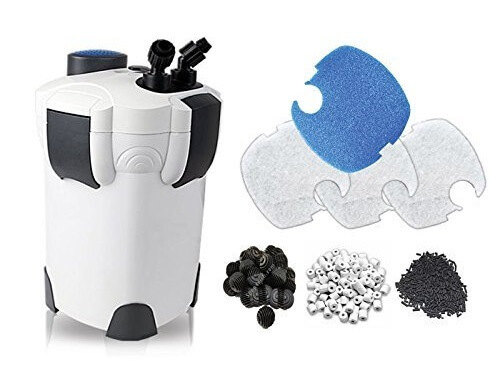 If you’re looking for efficient, affordable filtration for your aquarium, the SunSun canister filter is a decent choice. Although price shouldn’t be a main factor when buying a filter, getting good value for your money can’t hurt. You probably haven’t heard much about the SunSun brand if you’re just getting into the hobby. 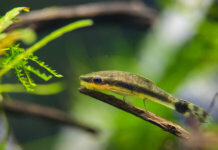 While SunSun doesn’t enjoy the same recognition as Fluval or Eheim, their canister filters offer good quality. The SunSun HW 304B, for instance, offers a similar amount of filtration as some of the best canister filters out there – but at a fraction of the price. What does a canister filter do? The main benefit of a canister filter is the fact that it can hold an impressive amount of filter media, allowing stronger, more comprehensive filtration. Additionally, a canister allows you to take out and replace the media, ensuring powerful filtration that’s tailored for your aquarium. 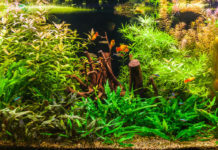 To put it simply – a canister filter is the best (and sometimes only) choice for larger or heavily stocked aquariums. Unfortunately, most canister filters are also fairly expensive. This is where the SunSun filter shines; it offers impressive performance, while being cheaper than many alternatives. The SunSun HW 304B canister filter is suitable for both saltwater and freshwater aquariums up to 150 gallons. It has an amazing flow rate of up to 525 gallons per hour, a definite upgrade to the SunSun HW302, which has a flow rate of 264GPH. Like most canister filters, the SunSun HW 304B comes with four media trays which can be filled with biological, mechanical, and chemical filter media of your choice. There are four trays in total (most filters come with three), allowing comprehensive filtration, tailored for your fish. The filter itself is 17″ tall and 11″ wide, and it should fit comfortably in most fish tank stands. As far as noise goes, we found that the SunSun canister filter is quiet, despite it’s high flow rate. You may encounter a “whirring” noise once the filter is started – this is just the sound air getting trapped in the filter. To avoid this, make sure to pre-fill the canister with aquarium water before running it. Lightly shaking the canister will also help evacuate the trapped air. The SunSun filter comes with a self-priming pump; there’s no need for manual siphoning to start it. While many products today are self-priming, it’s a somewhat rare feature in cheap canister filters. Priming the filter is easy; just fill up the canister with water first. Simply pushing the priming button several times will start the flow, after which the SunSun filter can be plugged in. An internal 9 Watt UV sterilizer lamp is included with the SunSun filter, which is a nice addition – especially if your aquarium has algae problems. To be fair, 9 watts is weak for a flow rate of 525 GPH. You’ll probably need a much stronger UV sterilizer if you have severe algae issues. Some aquarists seem to be put off by the fact that the SunSun canister filter is made by a Chinese company. 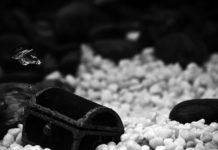 While we’ve seen a fair share of bad equipment from China, SunSun is an actual manufacturer of aquariums, filters, and other supplies – not a knockoff. They’ve been around for years, and seem to know what they’re doing. With that said, we feel like the SunSun HW 304B filter could have been a little sturdier. The intake and outtake tubes don’t look very forgiving, and should be treated gently. This is a very common (and very frustrating) flaw with most canister filters. If you can’t be bothered to shop around for filter media, the SunSun HW 304B includes a complete set of filter media along with the filter. While this is a great addition, we’d advise you to supplement or replace the Bio-Balls with better biological media. If your aquarium would benefit from a canister filter, but you feel like you can’t fit one in your budget, we strongly recommend the SunSun HW 304B canister filter. It has it’s flaws, and likely won’t last for decades. But it offers great performance at an even better price. 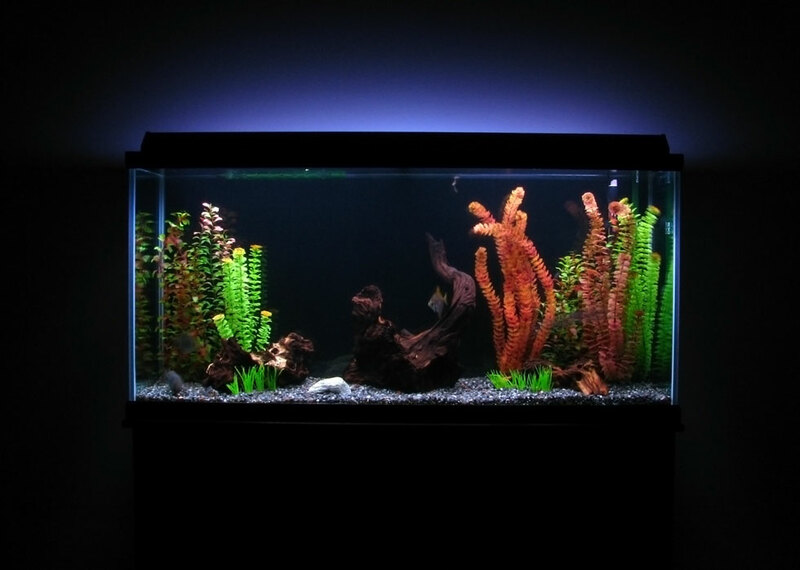 The flow and capacity good enough to ensure crystal clear, healthy water in extremely demanding aquariums.